Summer is winding down and back to school season is upon us. Students are wrapping up internships, doing last minute prep for the upcoming semester and finishing summer research projects. And we know how critical those research gigs are for STEM students. Studies show that undergraduate research experience leads to positive outcomes on retention and degree completion. But community college students don’t typically get the chance to do field and lab work. Here’s the good news: many MESA community college students are given the opportunity to do summer research. That career exposure is a key factor of MESA’s transfer success; 97% of MESA community college students transfer to four year universities in STEM majors. That was the experience of 20 first generation college students from Allan Hancock College, Santa Barbara City College, Ventura College and UC Santa Barbara, as part of the UCSB-Smithsonian Scholars Project. The schools are part of a regional alliance of Hispanic Serving Institutions and partnered with the Smithsonian Conservation Biology Institute for this effort. Following last year’s pilot run, students are recruited from a range of STEM majors including biology, environmental science, math, computer science, engineering, chemistry, biochemistry and physics. 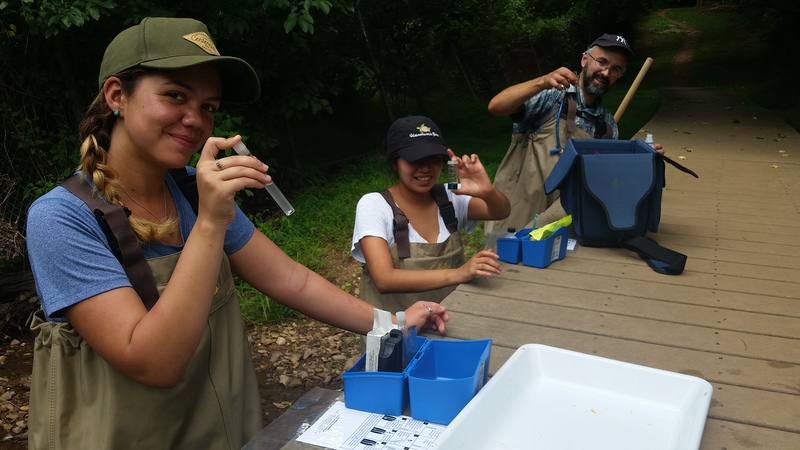 Karina Kays, a Ventura College MESA student who will begin her first quarter at UC Davis this fall, said the experience as a Smithsonian Scholar was eye-opening. Karina, who earned an associate degree in natural sciences while at Ventura College and is the first in her family to go to a four-year college, said she wants to work in plastic pollution and the effect it has on oceans. For more info, visit UCSB’s Office of Education Partnerships webpage.